I’m old enough to remember when May Day smelled of wool socks and carried a hammer. The marchers wore clean clothes back then, carried red banners and were awkwardly polite. Around the world, Brezhnev strutted his missiles and Castro raged volumes into the bright Caribbean sun. In those days, “The Internationale” still had those goofy lyrics. Yes, I’m older than Billy Bragg, but once, he and I and maybe a hundred other people, stood stock-still and sang his new version of that old song. Most of them had clenched fists. This was in the way-back time when communism still had a future and not just an imaginary past. 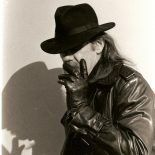 Those of us who grew up in the cause de jour 60s remember when communism went from industrial worker in a soft cloth hat and baggy pants to celebrity outlaw in camo-green and black beret. Somewhere between the Gulf of Tonkin and the Tet Offensive, communism became cool again. Academics sprouted beards and spouted doctrine. Marx and Lenin fought it out with Trotsky and Mao in college pubs and coffee shops. Workers marched, and students told them why. Those were heady days: late night basement meetings and manifestos. Old, boot-faced men who had worked on the Dnieper dam or fought in Spain spoke in mildewed halls. Grey-haired girls who had given their youth to the movement went first into the police barricades. “They won’t hit me; I’m a grandmother!” But they did. And all the young, smooth-faced converts were eager to worship their newfound economic religion. They were all together then. Yet, with all the talk and more talk, the workers of the world never did unite under anything more than their national flags. Communism was cool, but it wasn’t very effective. May Day was special, though. Ideological differences were put aside, and for one brief, shining moment, the workers did march shoulder to shoulder — their grievances with each other forgotten in the face of a common enemy. Normally they ended up at the old Cambie pub or the Drake for a pint after the speeches were done. Doctrine be damned: walking was thirsty work. These were the folks who took the early bus, ate their lunch out of metal kits and bought sturdy shoes at the Army and Navy store. Office staff and salespeople might get a three-day Labour Day long weekend in September, but May the First was the sore shoulder workers’ day, and they kept in sacred. 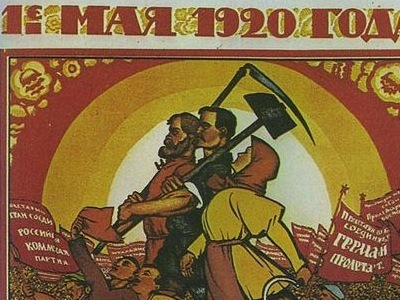 May Day, like much of the Western communist movement, came out of a combination of American action and European philosophy. It commemorates the Haymarket Massacre in Chicago in 1886. During a labour demonstration, everything went horribly wrong when somebody (who has remained nameless to this day) tossed a bomb at the police. The cops opened fire. Several people were killed, and there have been serious accusations ever since. Three years later, at the Second International in Paris, the French delegation read a letter from Samuel Gompers. (Sam was the head honcho of the newly formed American Federation of Labor.) It outlined American Labour’s plans to organize rallies and marches for the third anniversary of the massacre. 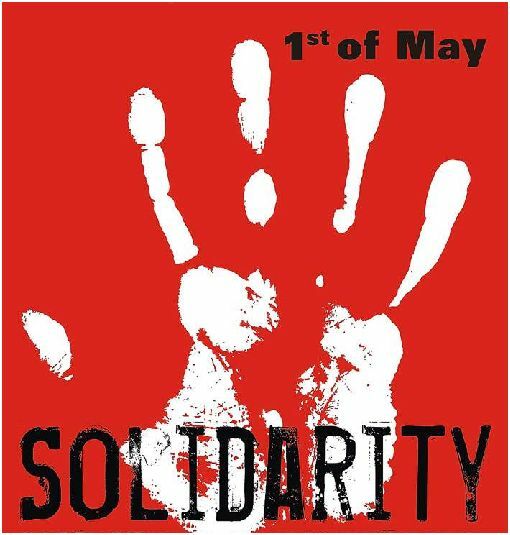 The French proposed that on May 1st, European workers march in solidarity with their American brothers (sisters didn’t really count yet.) The motion was passed, and organized labour has been taking to the streets on the first day of May ever since. Actually, May Day is an official holiday in over 80 countries. In the 21st century, May Day, like communism, has fallen on hard times. There are still the big rallies in all the European capitals. But Moscow doesn’t pull out all the stops in the march through Red Square anymore, and Castro is too sick to do anything but write letters to the editor. God only knows what the workers will be forced to do in Pyongyang, and whatever Beijing comes up with … well… that’s just false advertising, isn’t it? 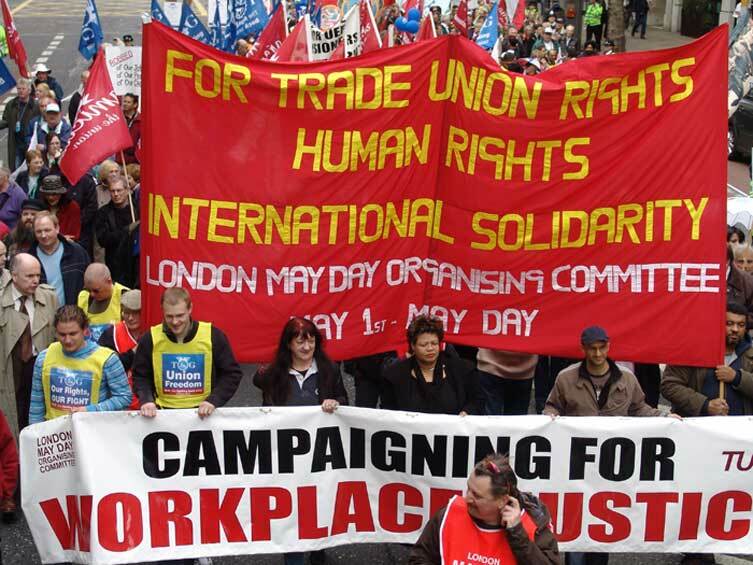 In North America, May Day has always been more about organized labour than labour itself. Union members come out to listen to their nabobs try their best to resurrect the 19th century, when the battle lines were clearly drawn. However, it’s getting harder and harder for union leaders to convince the rest of us that organized labour is in a life-and-death struggle with capitalist greed. These days, union dues buy sports franchises, and pension plans fund hotels and tourist destinations. Organized labour carry stock portfolios worthy of JP Morgan Chase and BNP Paribas. May Day has come a long way from the Haymarket in Chicago, and so has communism. Both were born as a downtrodden backlash against the Industrial Revolution; both rose to become an emblematic certainty of a better future, and both are fading away as their usefulness declines. A few people will still march tomorrow, but they will be carrying Smart phones, not lunch buckets. Their brand-name jeans will be made in Asia and when it’s over they’ll drive away in Toyotas and Hyundais. It isn’t Animal Farm yet, but it’s getting pretty close. I did not realize that I am this old. I feel as if you found my journal and published my thoughts. I marched many times shoulder to shoulder with my students. I thought I was fighting for rights which they deserved. More often than not the people in the protest were not the ones who needed to be there. I was there “representing them” while they refused to stand up for themselves. I had enough of that! I will stand up and march for my rights. If anyone wants to make a stand they need to be in the march or accept that the oppression is a result of their passive attitude! 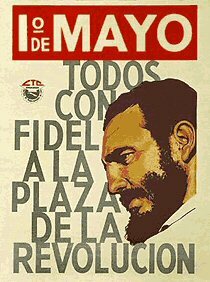 This entry was posted on April 30, 2012 by wdfyfe in Uncategorized and tagged communism, International Workers Day, Labour Day, Labour movement, May Day, organized labor.